Un Día Cualquiera is a forceful statement from a Cuban musician leading his tight-knit Cuban band, recorded in the U.S. (at WGBH Studios in Boston, Mass. ), and influenced by music from both countries in ways that transcend narrow notions of “Latin jazz.” The album nods to classic Cuban composers and musicians but it focuses mostly on pianist Harold López-Nussa’s original compositions and his distinctive trio concept. These compositions are mostly new, save for one or two, such as the opener, “Cimarrón,” which are older pieces reinvented for the present moment. Musically, Lopez-Nussa’s last album augmented his band with additional instruments and influences, including Senegalese bassist Alune Wade, to achieve a globalized sound. 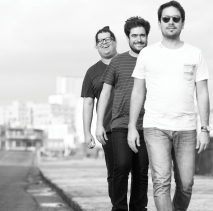 For Un Día Cualquiera, Lopéz-Nussa sticks to his core trio, with his younger brother Ruy Adrián López-Nussa on drums and percussion, and bassist Gaston Joya—a group the pianist first convened a decade ago in Cuba. 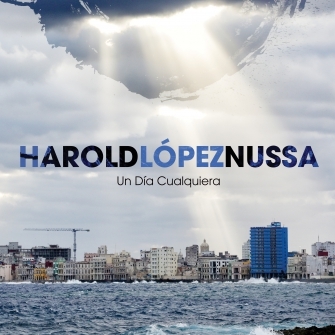 Harold López-Nussa’s music reflects the full range and richness of Cuban music, with its distinctive combination of classical, folkloric and popular elements, as well as its embrace of jazz improvisation and interaction. His career gracefully spans styles. Early on, he recorded Heitor Villa-Lobos ́ Fourth Piano Concerto with Cuba’s National Symphony Orchestra (2003) and won First Prize at the Jazz Solo Piano Competition at the Montreux Jazz Festival, Switzerland (2005). He was featured on the album Ninety Miles, playing alongside jazz stars David Sánchez, Christian Scott and Stefon Harris, and Esencial (of compositions by revered Cuban classical guitarist, composer and conductor Leo Brouwer). He spent three years in the touring band of the beloved Cuban singer Omara Portuondo. 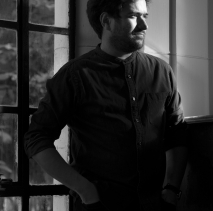 At the age of eight, López-Nussa began studying at the Manuel Saumell Elementary School of Music, then the Amadeo Roldán Conservatory and finally graduating with a degree in classical piano from the Instituto Superior de Artes (ISA). On two tracks here, he dips into the repertoire of Ernest Lecuona—“one of the greatest Cuban composers of all time,” he said, who, like Gershwin in the U.S., brought indigenous and popular forms to bear on classical repertoire. Lopez-Nussa’s interpretations of “Danza de los Ñañigos,” which is based on Afro-Cuban religious rituals, and “Y la Negra Bailaba,” which, he said, “is somewhere between Cuban son and danzón styles,” represent less liberties taken than the unfolding of a deep understanding of Lecuona’s towering legacy. López-Nussa grew up in Centro Habana, a neighborhood known for its folkloric Afro-Cuban ceremonies. “There would be two or three ceremonies each week, and I could hear them from my house,” he recalled. “What I soaked in there has never left me.” His original composition, “Elegua,” translates batá drum rhythms and chants for a Yoruba deity to a jazz-trio format, and forms one of the album’s dramatic high points. The ease and invention with which he improvises at the piano, and the suppleness with which his trio swings make it hard to believe that López-Nussa didn’t really take up jazz until he was 18 years old. “Jazz was scary,” he said. “Improvisation was scary.” Yet he felt emboldened by Herbie Hancock’s 1996 album, The New Standard, of jazz interpretations of pop, rock and R&B songs. “That gave me new ideas about what was possible, and what I could do,” he said. He found inspiration, too, from Cuba’s great jazz pianists—the ongoing work of the reigning master Chucho Valdés, as well as recordings of Chucho’s father, the late Bebo Valdés. Here, López-Nussa’s composition, “Una Tarde Cualquiera en Paris,” pays homage to the calm, reflective quality of Bebo’s pianism. Another López-Nussa original, “Mi Son Cerra’o” is meant to evoke the sound and spirit of the early descargas (jam sessions) on which Bebo played, the earliest Cuban jazz recordings. López-Nussa’s tender rendition of "Contigo en la Distancia" a bolero written by Cuban singer-songwriter César Portillo de la Luz in 1946 (covered in the decades since by singers ranging from Plácido Domingo to Christina Aguilera) reveals lessons learned on bandstands accompanying Omara Portuondo. “She showed me how to put all of your passion, your whole existence, into a single song,” he said. 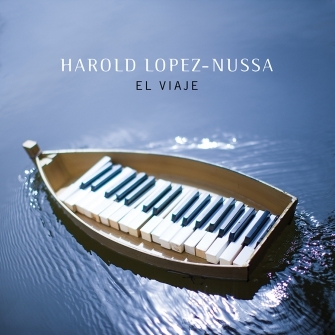 Cuban pianist Harold Lopez-Nussa’s new, celebratory album, El Viaje (The Voyage) surges with such an abundance of inspiring exuberance, pyrotechnical brilliance, fiery passion, luminous lyricism, rhythmic propulsion and crackling keyboard clarity that you just can’t believe the phenomenal, 30-year-old virtuoso from Havana when he confesses that he was “terrified and a bit shaky” when taking his first giant steps from classical music to jazz. "It’s both an indictment of the communist system’s failures in Cuba and a testament to its successes that the nation’s most consequential exports are doctors and pianists. 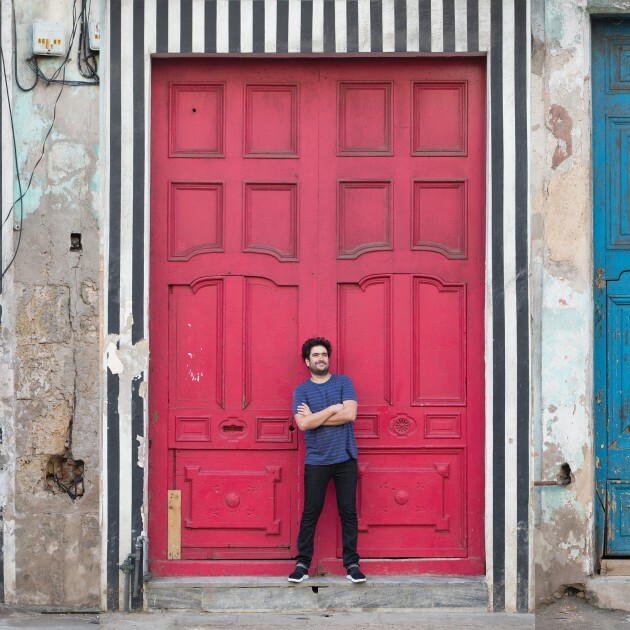 The U.S. isn’t directly affected by the island’s medical missions, but the American jazz scene would sound very different without a steady flow of outrageous keyboard talent arriving from Cuba." Acclaimed Cuban pianist Harold López-Nussa brings his Afro-Cuban Latin jazz — and view of the world — to our studio. 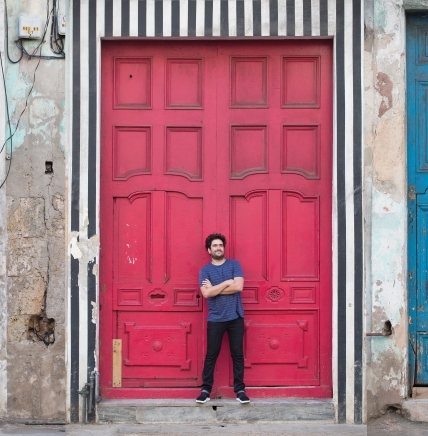 Harold Lopez-Nussa hopes increased exchange between Cuban and American musicians can continue. "I have a lot of hope about this approach," he says. "It will be better for all of us." You can hear Harold Lopez-Nussa's training when he plays. 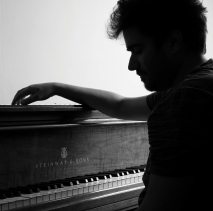 The 33-year-old pianist is reluctant to admit the classical influence on his jazz playing, but he's quick to acknowledge that he, like many other great Cuban pianists, was classically trained.